The Czech president refused on Sunday (7 October) to back down from comments slamming what he called a 90% unemployment rate among the country’s Roma, earning a rebuke from campaigners and rights activists. 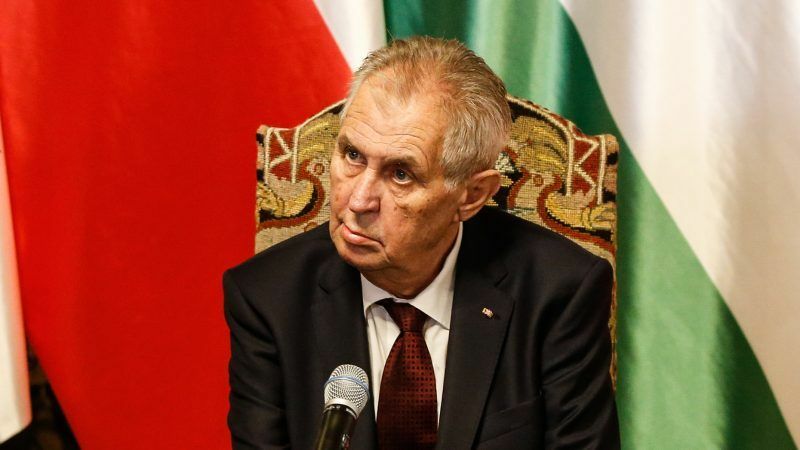 President Miloš Zeman’s latest spat with one of the few minorities in the European Union member country began two weeks ago when he said that although he despised the former communist regime, at least it made the Roma people work. His remarks sparked criticism, including from Roma people posting hundreds of pictures of themselves working on social media and asking the president to apologise. He declined, saying that those images were of the one tenth of Roma who actually work. “I said clearly that I appreciate the 10% of Roma who work,” Zeman said in a live interview streaming when responding to a question from a Roma viewer. “Don’t forget, if you want to show solidarity with your ethnic group, those 90% (not working), because… they are also influencing their children,” he said. There are no statistics supporting Zeman’s assertion. Czech NGO, Romea, called Zeman’s remarks insulting. The European Roma Rights Centre in Budapest rejected his statements as racist. An annual report on the Roma, approved by the Czech government in August, says that as of the end of 2017, there were roughly 240,000 Roma living in the Czech Republic, or about two percent of the population. Half of the 240,000 were estimated to be “socially excluded”. That term refers to people living in places where it is tough to get a job, who also are often heavily indebted. The report also stated that the Roma population faces strong obstacles in social life, mainly due to prejudice which often prevents its members from getting a job or suitable dwelling. A separate report showed that as of the end of August, there were a total of 230,000 people out of work in the country of 10.6 million, which enjoys the lowest unemployment in the EU thanks to solid economic growth. Zeman is not the first Czech official to attack the Roma’s work record. Prime Minister Andrej Babis was forced to apologise for remarks he made as finance minister in 2016 that Czech Roma were sent to a concentration camp during World War Two because they refused to work. With ancestral roots in India, the Roma migrated to Europe in the 10th century and have a history marked by persecution. There are some 11 million Roma living across the continent, particularly in Romania, Bulgaria, Hungary and Spain. Recent statements by CZ president Zeman abt #Roma r clearly racist & not fit 4 anyone, let alone a president of an EU MS! #hatespeech is a crime. No surprise there’s infringement against CZ for systemic segregation of Roma children if this is the mentality.